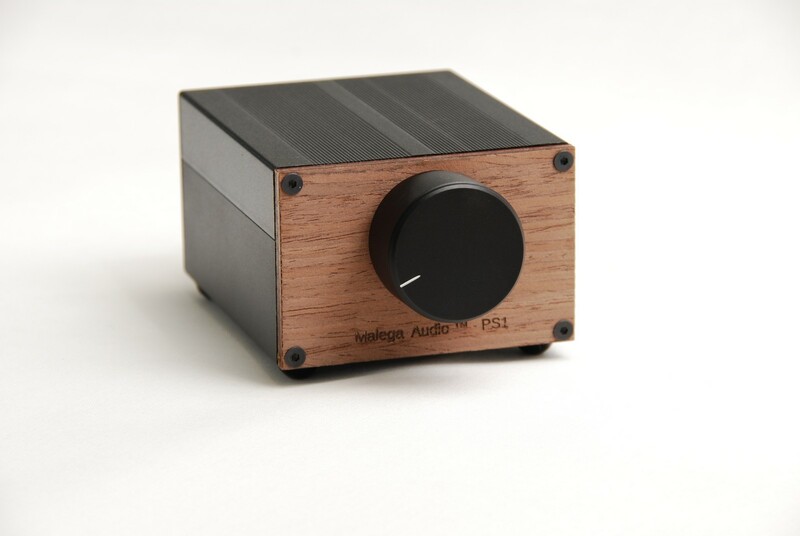 Malega Audio™ PS1™ – Passive Pre-Amplifier Designed To Deliver A True Analogue Like Sound To Any Type Of Music On Any Level Of Audio Gear. Seat Back and Enjoy Fast Dynamics And Just A Better Sound! 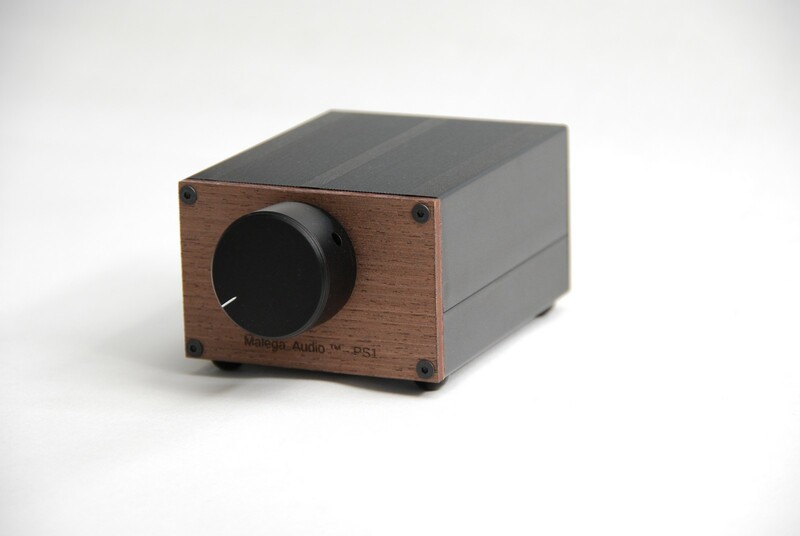 The “MB™ – P01” Passive Pre-amplifier was designed with audio clarity in mind. 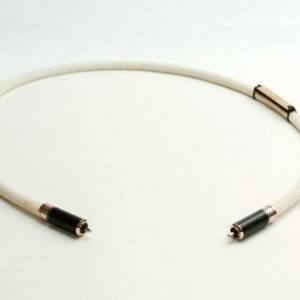 The whole audio signal path is designed specifically for best possible audio performance using high purity metals such as thick 999% soft silver and real 100% copper for input and output RCA terminals. I decided to design the passive pre-amp without a selector switch or any other switches on purpose, as I wanted the least signal interchanges and the maximum clean sound across the whole signal range to your power amplifier. 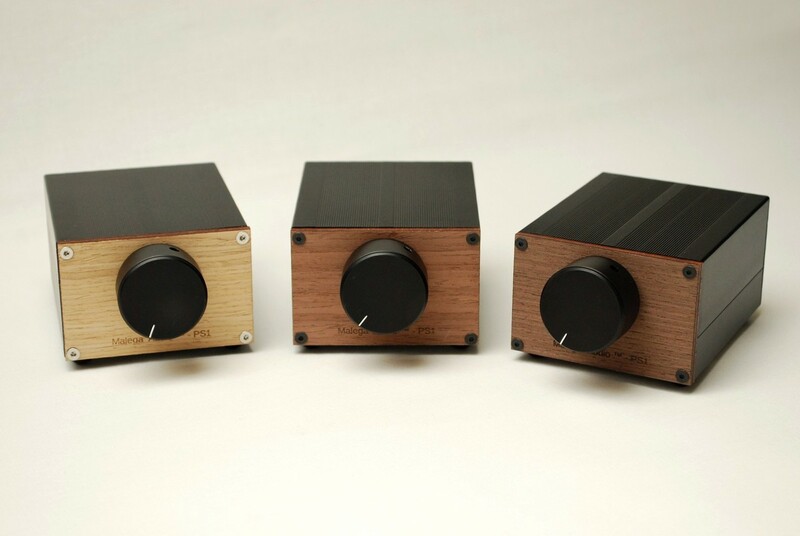 The Passive pre-amplifier or volume control has TWO Inputs and TWO Outputs only. 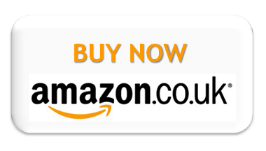 (Custom Orders for 2 inputs and 4 outputs as well as XLR Balanced designs are available). 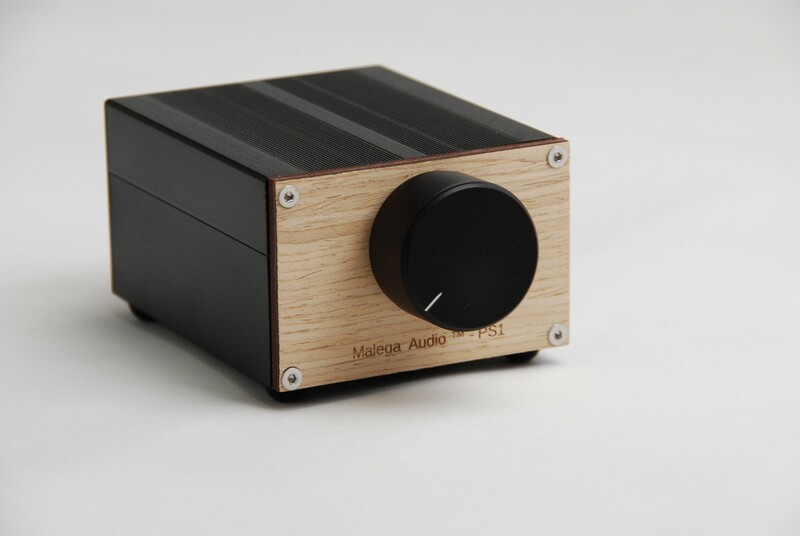 Malega Audio™ passive stepped attenuator made completely by hand in the UK using FINEST parts for audio including our design specifics to make sure it is capable to transmit your components audio signal with as minimum effect as possible therefore delivering great dynamics, naturalness to instruments and reaching lowest notes as deep as your system allows and at the same time providing finest nuances in treble sound. 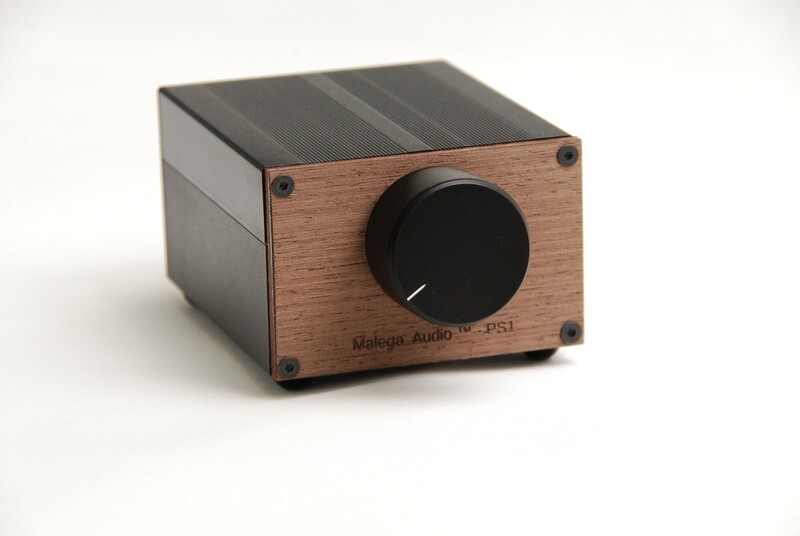 If you are serious to find a TRUE Audiophile passive pre amplifier, then here it is – Malega Audio™ PS1™ Preamp entirely handmade stepped attenuator that must be auditioned to. 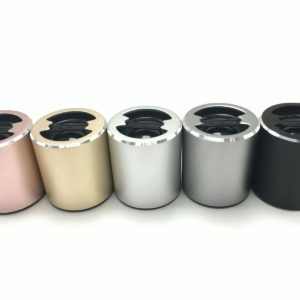 The volume control is a HIGH QUALITY Stepped Attenuator type to make sure you get precise stereo sound on any volume level without clicks or pup type of sound between volume steps or any other issues. 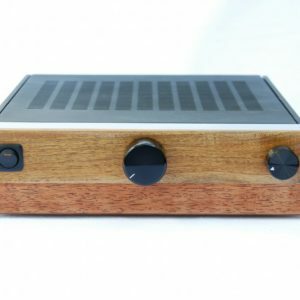 The stepped volume attenuator was specifically selected for passive pre-amp design, which has a very low signal sensitivity of 10K (Ohms) Gold plated copper alloy internal signal plate with 1% SMD high quality resistors for each step. 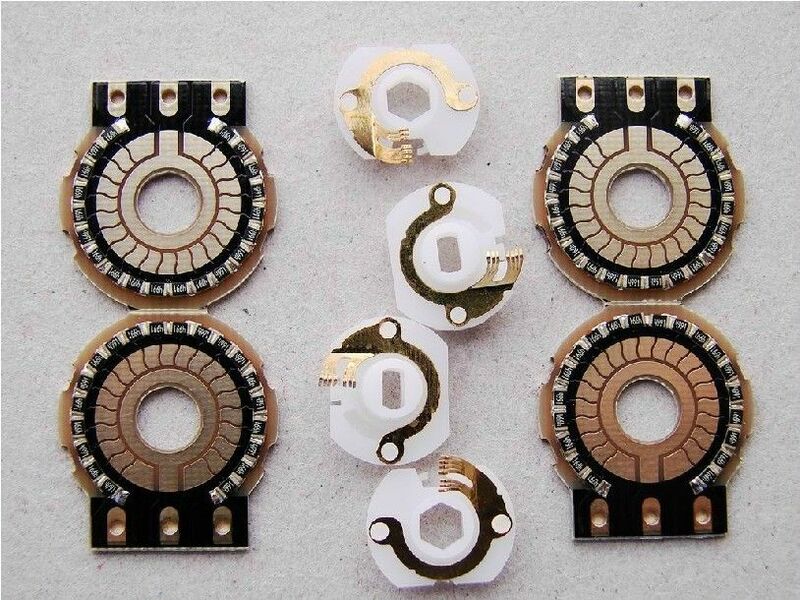 This type of stepped potentiometers design used in High-End audio equipment due to its high quality characteristics and reliability to withstand equipment heat. 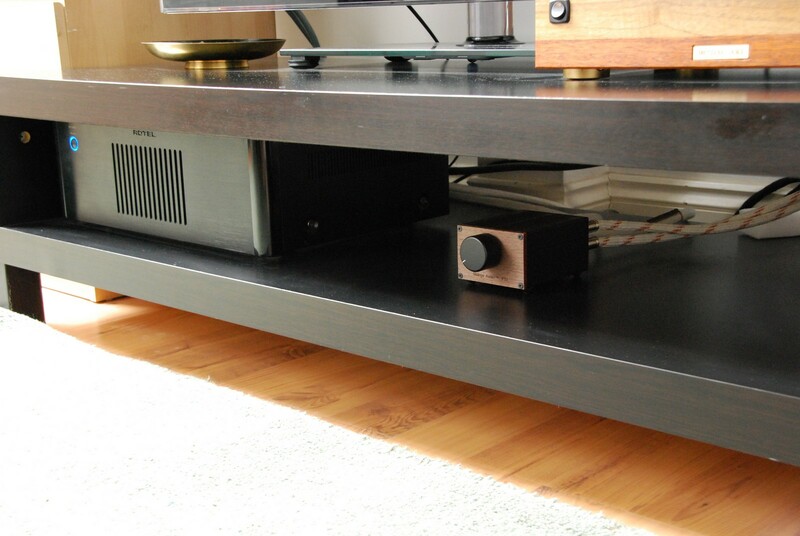 So rest assured you will get a fast, clean and thick sound possible from the passive pre-Amp. Internal wires used are finest purity 99.9% soft silver. 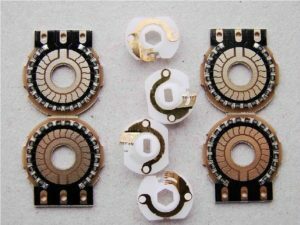 All the contacts are soldered with very BEST silver solder from Audio Note Co. 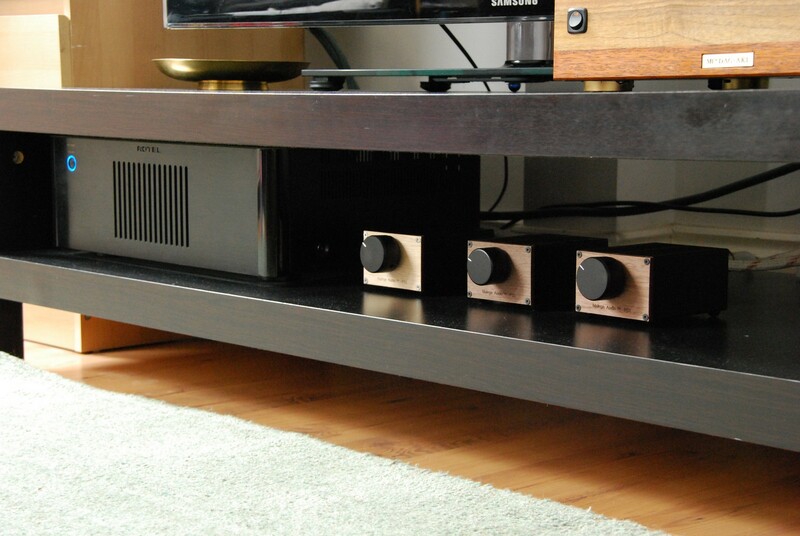 The RCA sockets are gold plated on 100% pure copper for very best conductivity to make sure the delicate audio signal passes with as minimum effect as possible, therefore a very engaging sound reproduction passed further into your power amp or integrated amplifier. We highly recommend to audition it as this could very well be the one you are looking for. 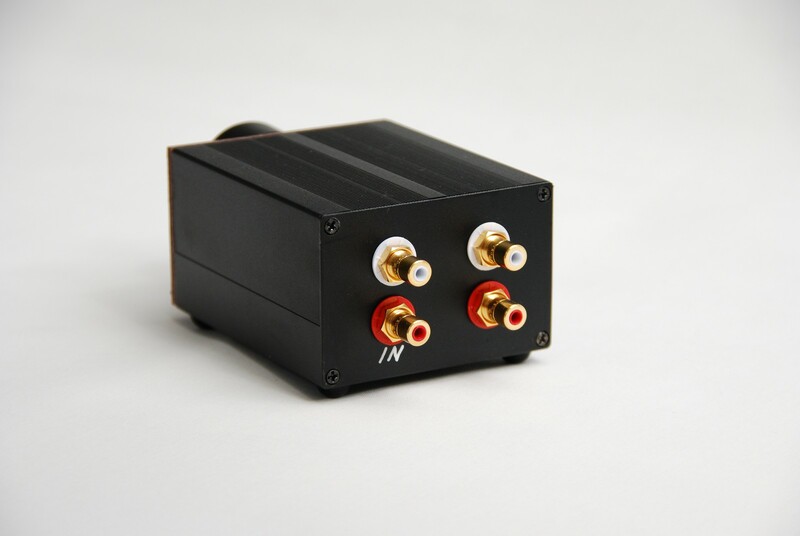 It allows your audio signal from your source, travel to your power amp so clear that you can easily distinguish the difference in sound by changing your audio source! So you pretty much hear what your source is capable of. 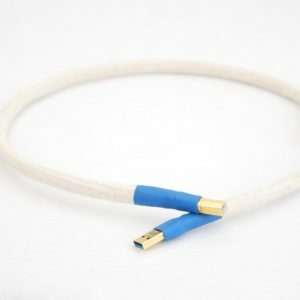 If possible please use the Malega Audio SILVER ™ cables as these interconnects have low impedance, they are capable to bring a very best sonic result from your CD or a DAC source, these are really good quality interconnects, therefore we use them ourselves. For best sonic results, I suggest to use a tube audio source as tubes known for their detailed and analogue like sound with a wide sound stage and also a high output signal that is really good for passive pre-amplifiers design although either source is fine and the PS1™ Stepped Attenuator Pre-Amp will work just fine. 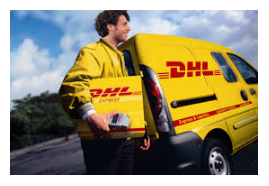 Take your music to a new level and simply enjoy it having your CD or Vinyl collection sound more lifelike than before. 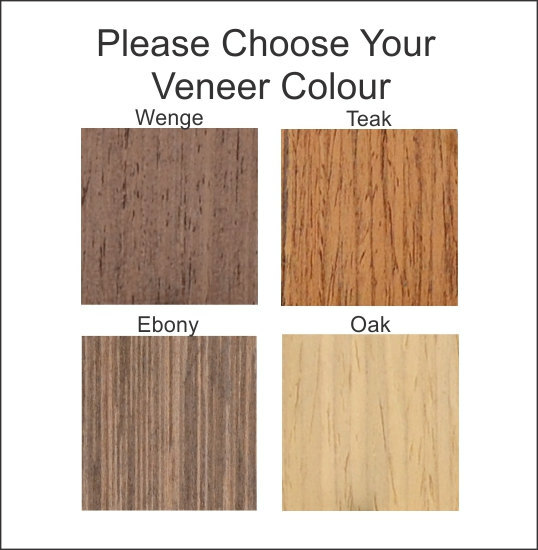 Your have got 14 Days home trial, and 100% money back guaranty and 4-years warranty as well.